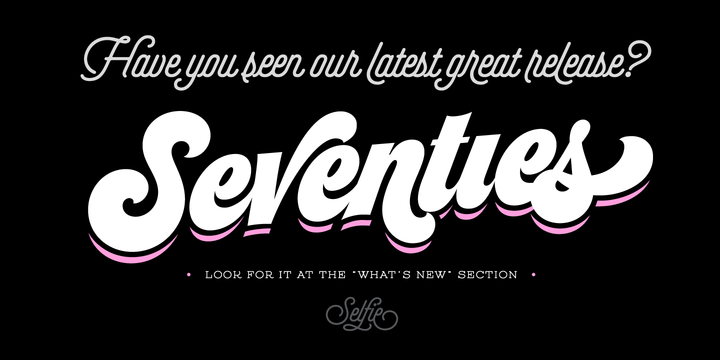 Selfie, so aptly called font, is a living proof that geometry in itself can be found beautiful and trendy. Beauty and elegance of this font is captured by the purity of the form, and not by any tricks of calligraphy. It is simple and carries a strange reminder of those monolined neon signs on bars and jazz clubs of the last century. This sans serif based script font will match perfectly to your newly taken selfie, or wedding invitation, even on a product package, romantic movie posters and DVDs – the possibilities are limitless and depend on your imagination.